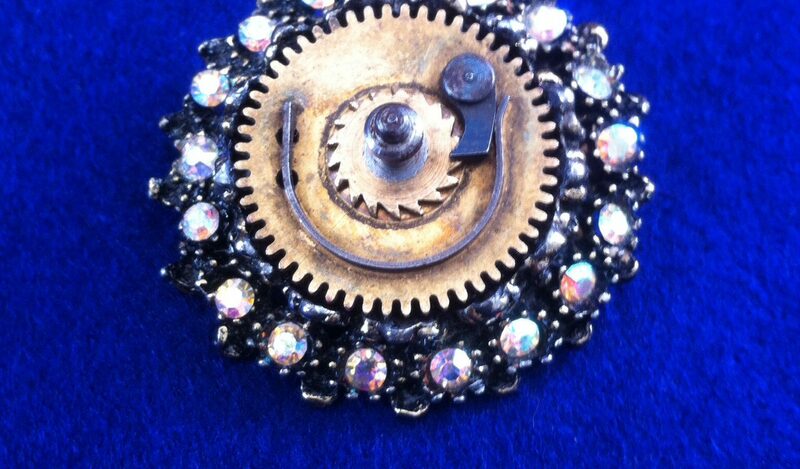 Less than 24hours until my next stall, and some lovely new steampunk creations are just ready. 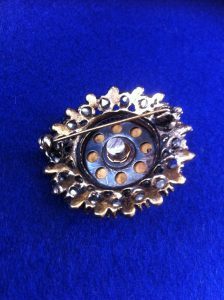 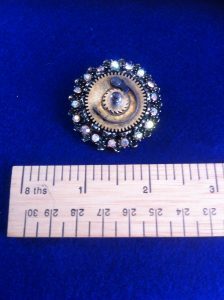 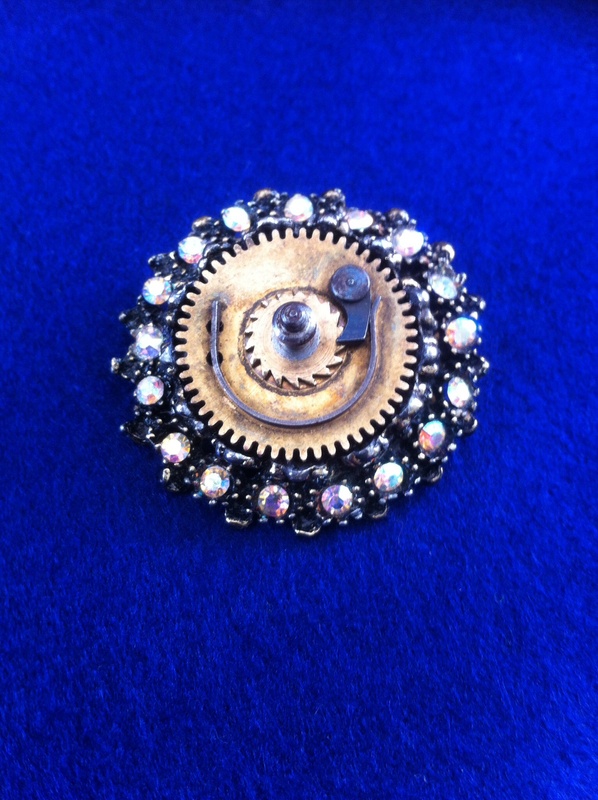 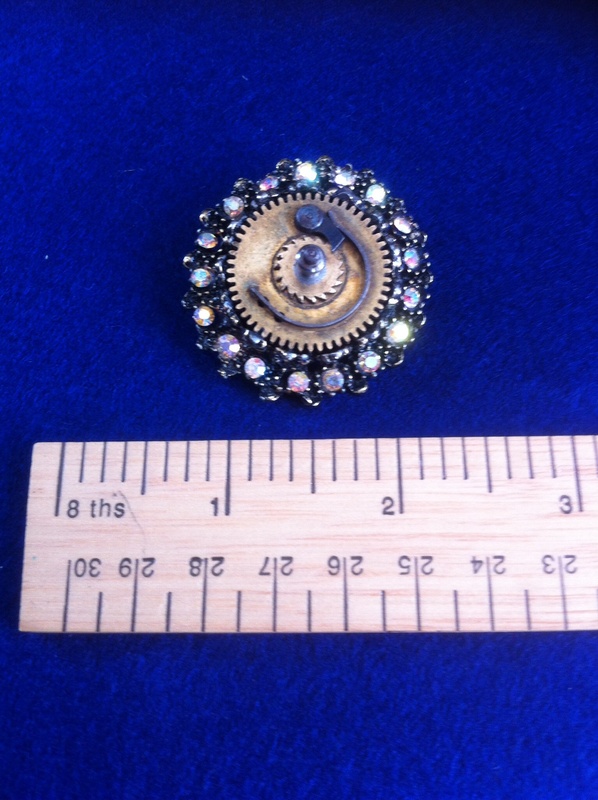 I am particularly happy with this brooch – a stunning vintage brooch which had lost its central stone/crystal, and an amazing genuine clock part which was almost exactly the right size. 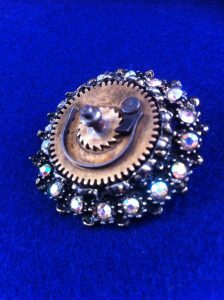 Some careful work with a hacksaw & file, very careful adjustment of the claw settings and some minor repairs to the brooch itself to make sure the diamanté crystals are secure and this one of a kind brooch is ready to make its debut.